Living with a goddess could be heavenly, living with three is more like hell. Keiichi Morisato was a college student just trying to get by. But more than anything Keiichi wanted a girlfriend. Keiichi's fortunes to a turn for the better when he was visited by a goddess, who offers to grant Keiichi one wish for being a pure person. Keiichi then decides to wish that a goddess like her could stay with him forever. And so Keiichi was granted his wish to stay with Belldandy, however girls aren't allowed in the boys dorm so he was kicked out. After Keiichi's first trial he manages to find a place to stay with Belldandy however the two never really seem to be very "intimate". And it is about that time that Belldandy's sister Urd gets frustrated by Keiichi not putting the moves on her sister and starts to meddle in her affairs. 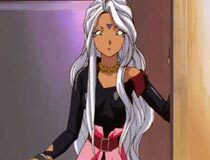 Urd however ends up with her license suspended for her hijinx and ends up ALSO staying with Keiichi. 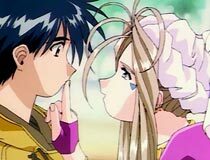 But if that weren't enough trouble, Belldandy's younger sister shows up to try to keep Belldandy and Keiichi's relationship completely platonic. But Keiichi did wish for Belldandy to stay with him, and didn't wish that his life wouldn't be complicated so he'll just have to deal with things as they come. 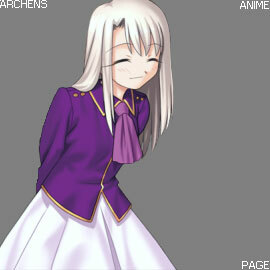 As long as he can stay with Belldandy. But in fact that might also be a problem Keiichi may have to overcome. These days, the Oh! 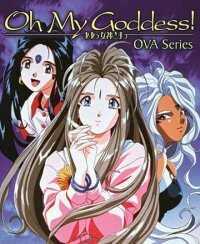 My Goddess OVA is considered a classic of anime, but even in a modern context I think there are reasons to watch this incarnation, even with more recent updates to the franchise. First of all, it's only 5 episodes. For a franchise which is so well known and popular in Japan, you can get the general idea summed up pretty quickly in this OVA. The series also sticks to the formula generally seen here, and while there are new elements introduced, over time it can start to feel like a stale concept. The OVA is far too brief for that to ever happen. 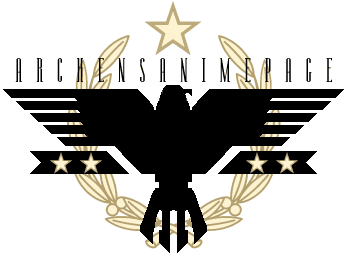 My personal recommendation would be as an anime fan however. The Oh! My Goddess OVA showcases everything OVA's USED to be. In the current anime climate, OVAs are basically TV quality stuff that never aired on TV. There was a time when movie level production and resources were put into OVAs which made them far superior in quality to TV shows. This OVA also highlights a time when those working on a title weren't simply doing a "job", but loved their work and the title they worked on. I've always felt that affection shows through for this OVA in particular. It's hard to talk about the other elements like story, characters and so forth as it's a pretty brief introduction into a vast franchise. Ah! My Goddess has been a continuous evolution through the years, but at this point in time many series developments hadn't occurred yet, so this is a much more simple approach. The movie in particular liked to drop in those kinds of elements with no explanation. It gets the idea of magical girlfriend, then sister #1, then sister #2 within 3 episodes. Two episodes are then dedicated to drama. Short and simple. It's a romantic comedy, but not particularly steamy nor is it rabidly funny. For the most part the OVA gets by with it's exceptional charm and very high production quality. While you might require an appreciation for classic anime to get the most out if it, I think the overwhelming popularity of this series upon release is warranted and still makes it worth watching.